Eagles of Death Metal recently returned to the stage following last year's tragic Paris attacks, and they're gearing up for a Canadian tour with Death From Above 1979 this spring. Now, the band have been announced as participants in this year's Canadian Music Week. While the aforementioned tour with Death From Above 1979 doesn't feature a Toronto date, Eagles of Death Metal will be gracing the stage at the Opera House alongside the Beaches and Dearly Beloved as part of CMW on May 7. Tickets for the show go on sale February 26 at 10 a.m. EST. Previously announced festival acts include White Lung, Wild Nothing, Black Lips, Royal Wood, Bob Mould, Radio Radio, La Sera and X Ambassadors. Canadian Music Week 2016 runs from May 2 to 8 across Toronto, and you can find full festival information here. 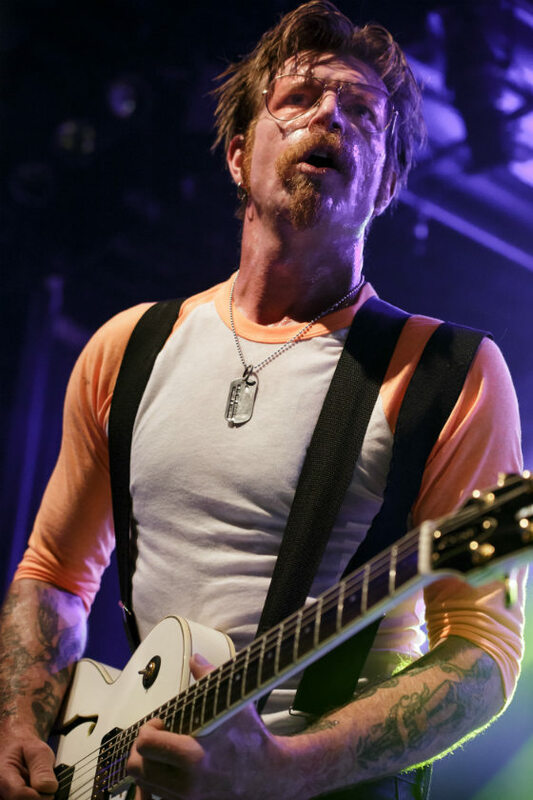 Find Eagles of Death Metal's upcoming Canadian shows listed below.